Pastor Lucas Miles is in the early stages of producing a historical documentary of Nimrod, a person from the ancient world who is mysterious but very relevant to people today. The Book of Genesis says Nimrod was responsible for building the Tower of Babel. Jewish tradition backs this up, Miles said. Nimrod also was responsible for the creation of Ninevah and Babylon. The word “Nimrod” means something like “We will rebel.” Miles said he believes “Nimrod” was more of a title than a real name, ... See More but he does believe this was an actual person. Jewish tradition believes the Tower of Babel was not only a tall building but a revolt against the flood of Noah’s Ark. The builders believed that the building would protect them if God sent another flood; however, God had promised not to do another worldwide flood. “This was a group who did not trust God,” Miles said. 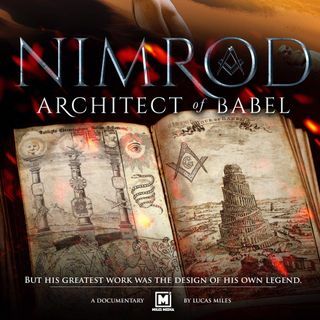 Nimrod also is connected to the ancient Greek and Egyptian religions as well as freemasonry and even Islam. It is believed that Nimrod’s body was cut into pieces and spread throughout the land. Legends about his life sprang up in different cultures such as Babylon, Ninevah and even among the Philistines. His legend was turned into a “god,” possibly including the Egyptian sun god and Horace. He may have been connected to Apollo or Zeus, Miles said. Nimrod is even connected to Baal, the false god who plagued the Israelites in the Old Testament. That could be because Nimrod is credited, in some legends, as having slaughtered an ox or bull, which is connected with that false god. That legend says that when Nimrod died, he became a giant bull. One form of Baal’s name had Allah in it, Miles said. The early roots of Islam are not spoken of within their religion now, but it is connected with Baal/Nimrod, he said. “We’re tracing this, bringing in experts,” he said. There will be re-enactments like you would see on the History Channel. There is no distributor yet, but the ones he has spoken to have given good feedback, he said. The filmmakers hope the audience will draw their own conclusions “and evaluate their own lives and what they’re putting their trust in,” he said. He hopes they can grow a deeper relationship with God. Miles recently returned from Africa where his film team shot a documentary for the Oasis Network for Churches in Kenya.